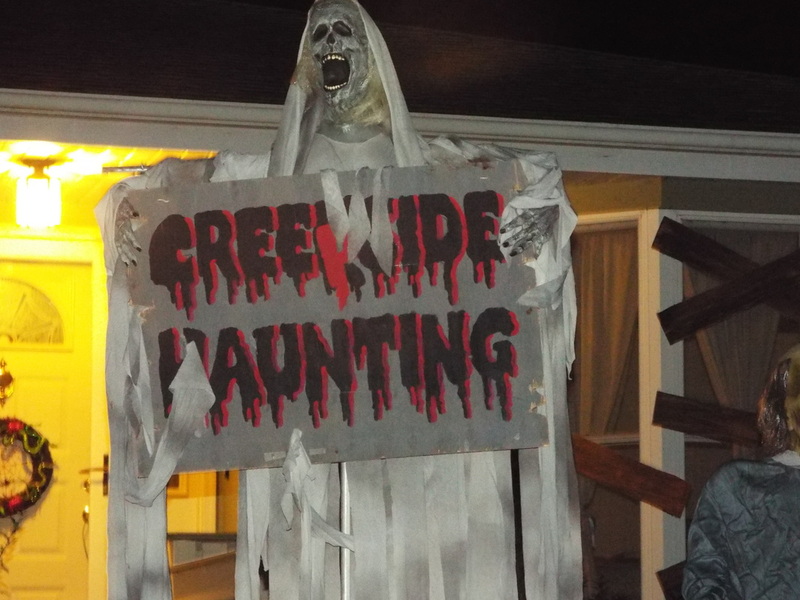 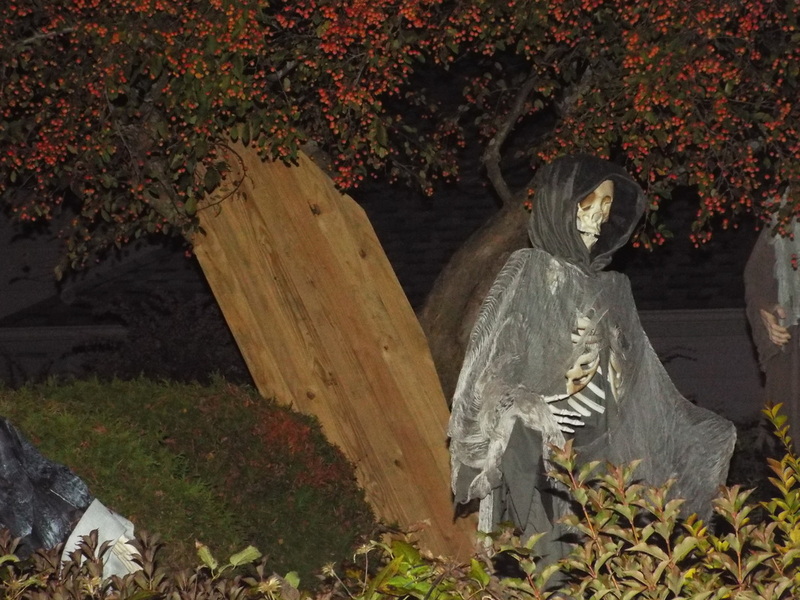 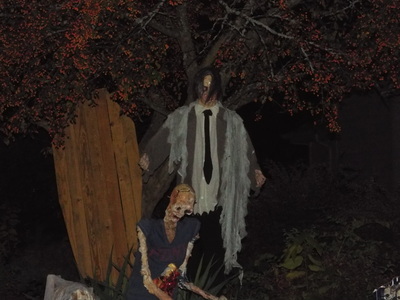 Creekside Hauntings is an excellent yard display in Plainfield that consists of numerous props, both animated and static, complemented by some creepy lighting and other effects. 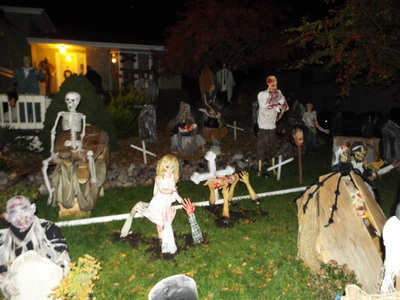 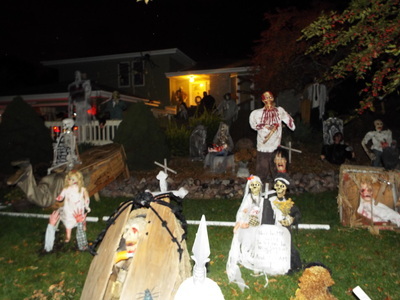 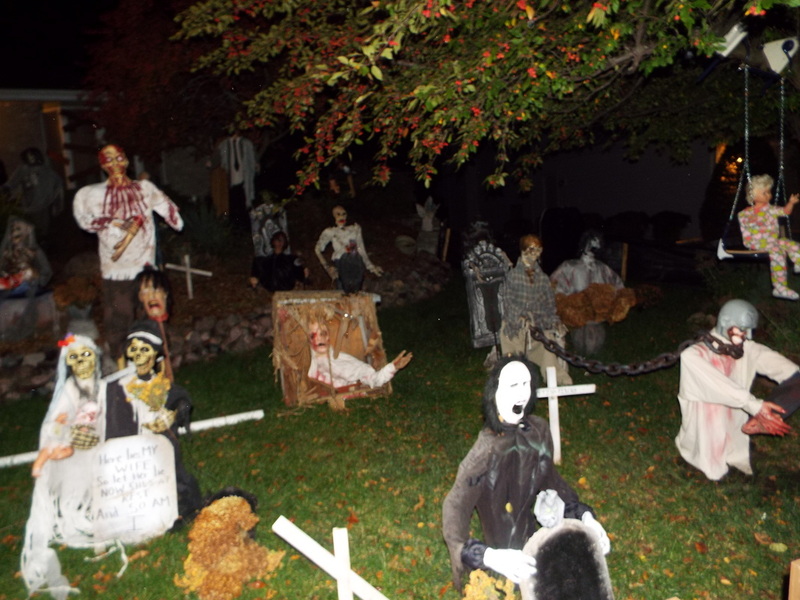 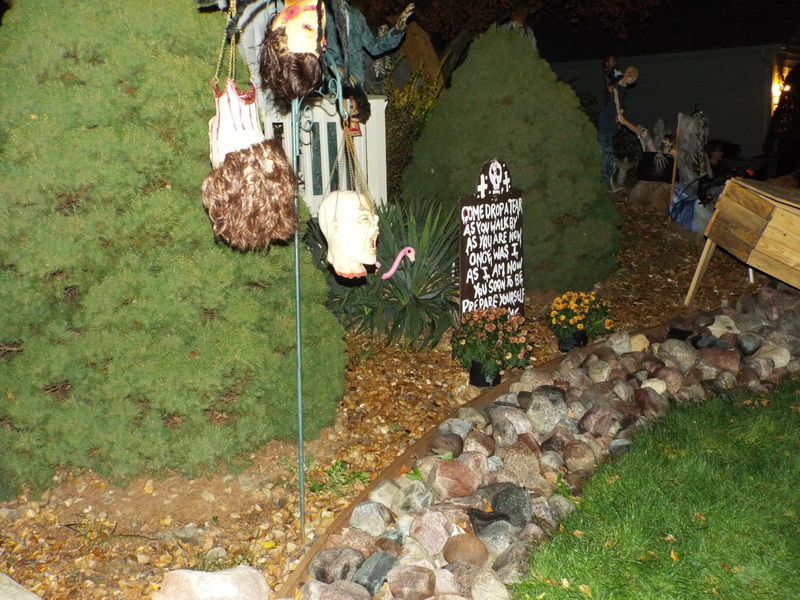 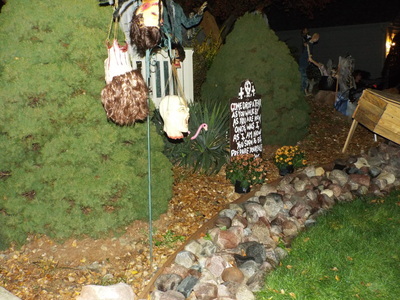 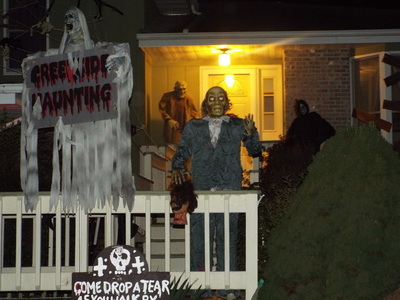 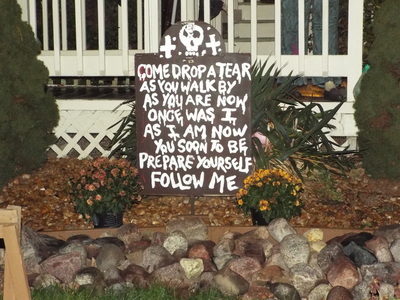 It makes excellent use oft he large front yard space, and includes all of the common horror figures. such as skeletons, zombies, corpses in coffins and more. 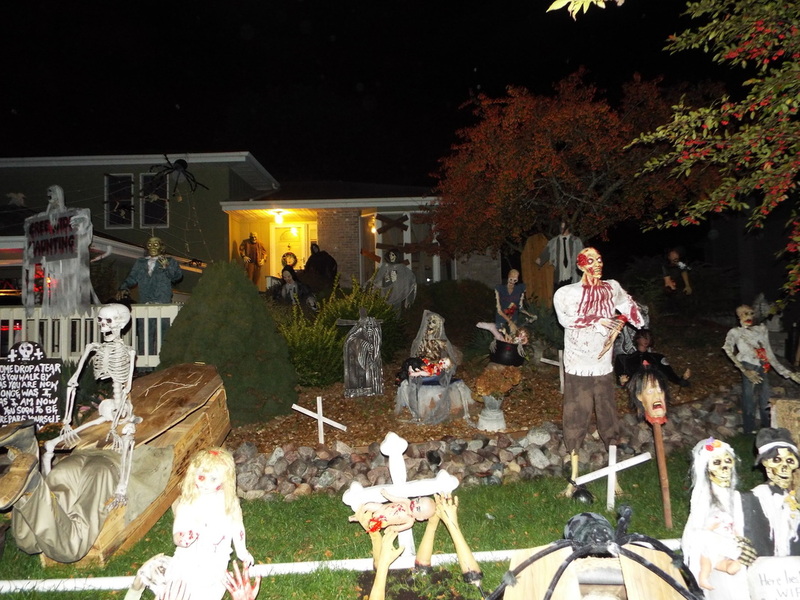 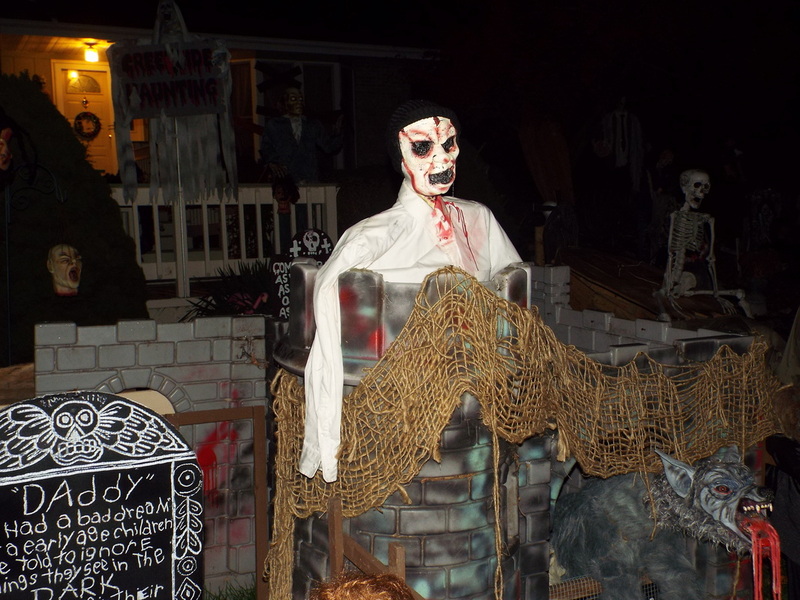 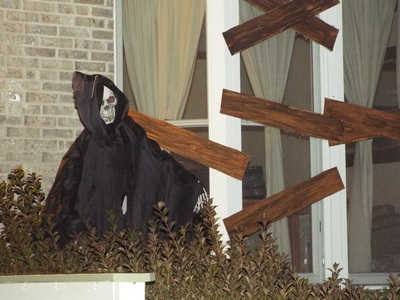 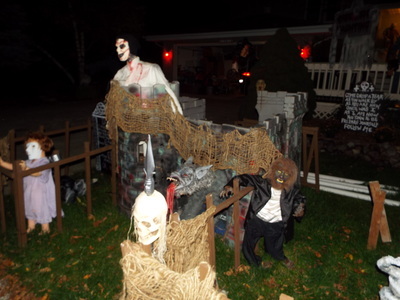 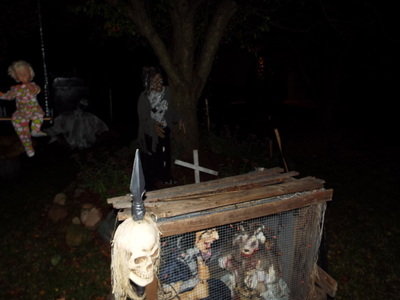 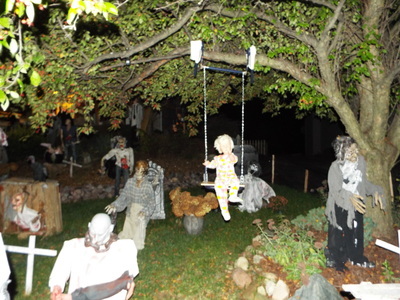 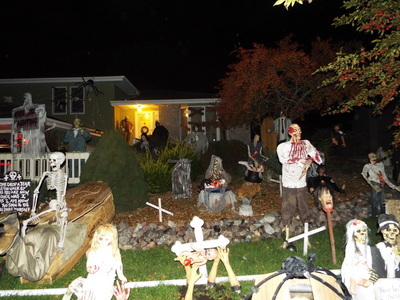 We've visited this display a few times over the years, and we always make a point of coming out to look at it when we are visiting other haunts in the Plainfield area. 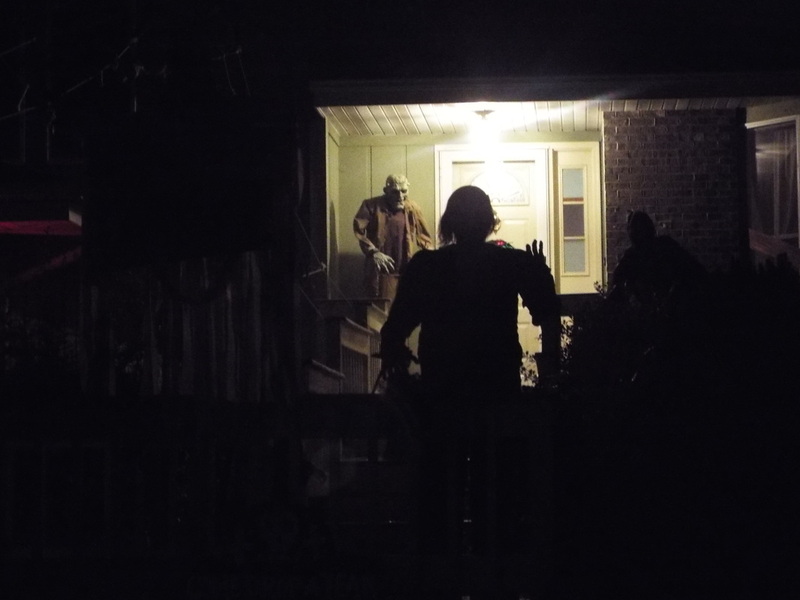 Many of the figures are life size, so it's really cool to see them up close, especially when the lights and other effects are in place. 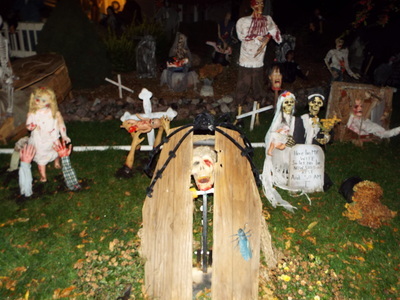 Unfortunately, when we arrived this year, the display was shut down. It was supposed to be open, but bad weather the day before caused a delay. Thus, we were unable to get a full walkthrough video or photos of the entire setup, but, using flash, we were able to get some photos of the displays. 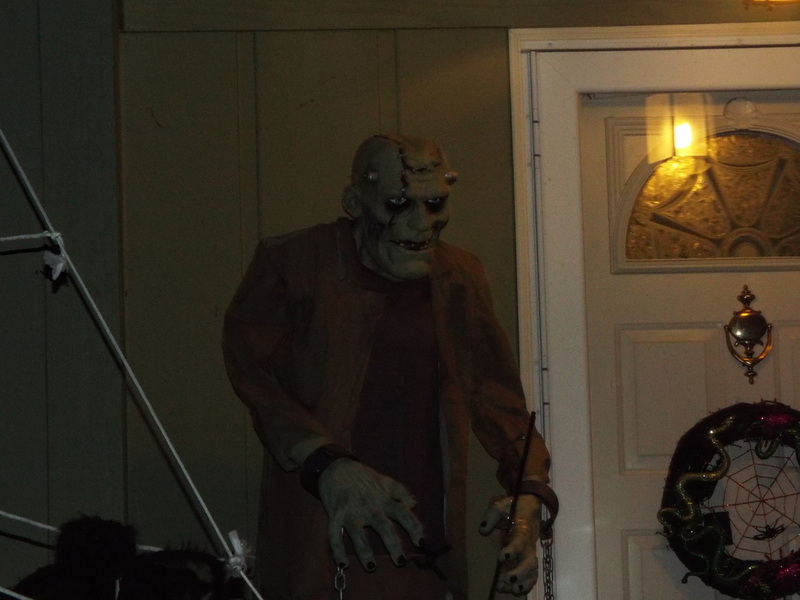 As mentioned, it's much better to see the setup when it's fully operating, but even the photos we took in the darkness showed some of the detail put into the various props. It's a great display, and one with a lot to see, so we encourage anyone who is in the area to take a look and see what's on offer. 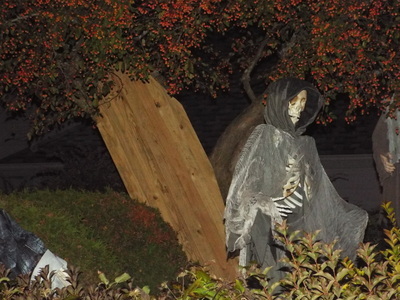 We make a point of seeing it each year, and we'll be looking forward to seeing what's in store for 2014.